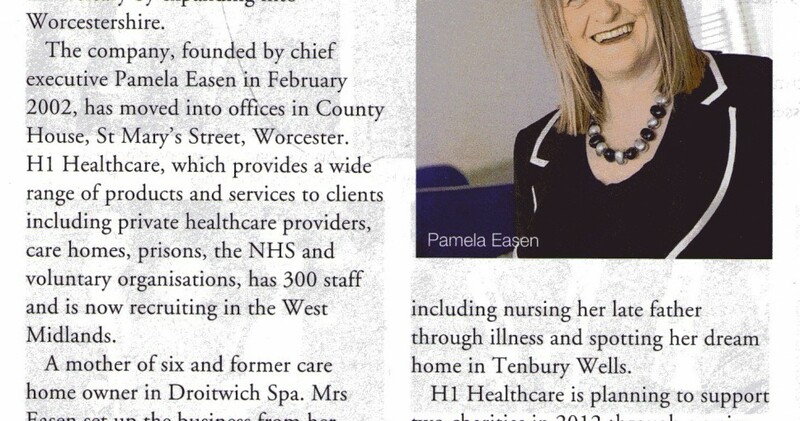 CGM was commissioned by H1 Healthcare founder and chief executive Pamela Easen to provide a professional media management service to support the company’s move into Worcester and Birmingham. The service includes writing press releases, media training, maintaining Pamela’s social media pages and blog writing. 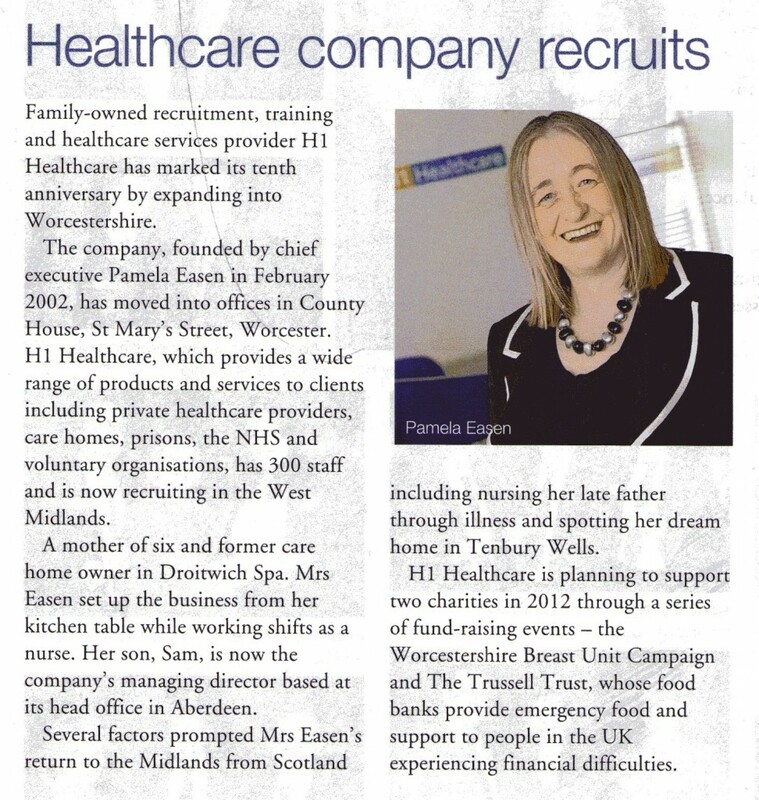 Press releases and photos have received coverage in the Worcester News and Worcestershire Life and on the Recruiter, Recruiter International, Midlands Business News and Business Daily websites. Pamela has also been interviewed at the RCN Congress by BBC Hereford and Worcester.